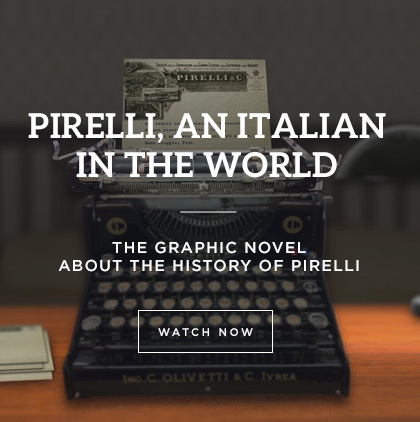 Curating thematic exhibitions and expositions - often in collaboration with other cultural institutions - is one of the tools the Fondazione Pirelli has used since its inception to narrate the story of the company. 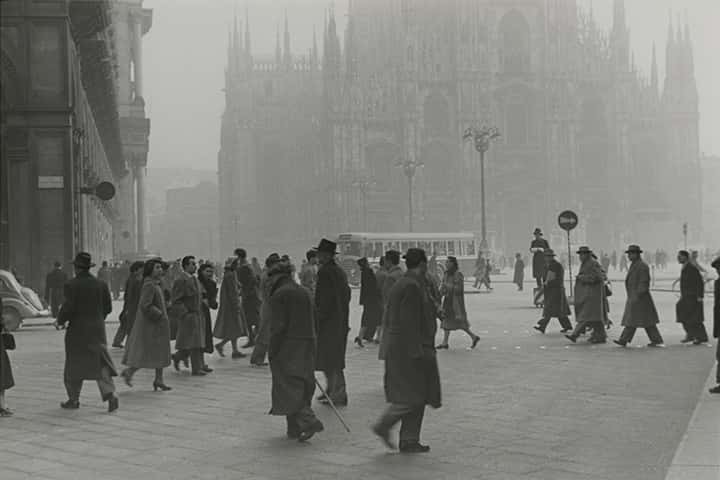 The first exhibition was held in 2008: Un viaggio, ma... (A journey, but...) , held at the Triennale in Milan. The exhibition explored the advertising campaigns of the Cinturato tyre in the 1960s and 1970s and featured original designs and sketches from some of the greats of graphic design, including Bob Noorda (who attended the opening ceremony), Pino Tovaglia and Alan Fletcher. These were exhibited together with works from contemporary artists which brought to life a series of "tales of travel" such as the P_iovra by Alberto Bettinetti and a life-size liquorice tyre from the food designers Ciboh. From the product itself to the factory: in 2009 the same Triennale housed the installation Working. Uomini, macchine, idee (Working. Men, machines, ideas), a piece of reporting on the work taking place in the departments of production and shot by the photographer Carlo Furgeri Gilbert across various European factories of the Pirelli Group. From machines to man: 2010 saw the photography exhibition Workers: 70 scatti (Workers: 70 shots) by the same photographer, Furgeri Gilbert, and showed us the Pirelli factory in Piedmont through the faces of its workers. After the product-machine-man "trilogy", 2011 saw a wide-ranging "monograph" on the everyday life of a tyre. Once again the Triennale was the host for L’anima di gomma. Estetica e tecnica al passo con la moda (The soul of a tyre, aesthetics and technique in step with fashion). The exhibition featured personal accounts and images which told the story of the innovations in Pirelli's communication in the fashion world and won the prestigious "Red Dot Grand Prix" in 2013.The Fondazione Pirelli has also created many other installations over the years: in 2011 there was Si va che è un incanto (It runs like a charm) , which told the story of Pirelli in motor sport through film clips, photographs, adverts and documents from the company's archive. 2012 saw the opening of the exhibition L’umanesimo industriale (Industrial humanism), a wide-ranging reflection on corporate culture which also offered an in-depth analysis of the relationship between technological research, production, art and communication, all themes which are central to Pirelli's identity. The Cinturato tyre once again returned to take centre stage - becoming a symbol of a "part" of history, in fact - the following year, with Pirelli e l’Italia in movimento (Pirelli and Italy on the move): a metaphorical journey across Italy in the 1960s, looking back through the pages of the Pirelli magazine and the works of the great designers and artists who played a key role in the economic boom of the era. And from the numerous exhibitions created by the Fondazione Pirelli for the internal employee community, we had Pausa pranzo: tra casa e lavoro, cento anni di Italia a pranzo (Lunch break: between home and work, 100 years of Italy at the dinner table) in 2015: an exhibition on food and health which covered the history of the company canteens, from summer camps to food factory shops and department cafeterias. The ties between man and work culminate in the physical reality of the factory: for the XXI International Exhibition of the Milan Triennale in 2016, the exhibition Le Architetture dell’Industria (Architecture of industry) was held at the Pirelli Bicocca Headquarters. 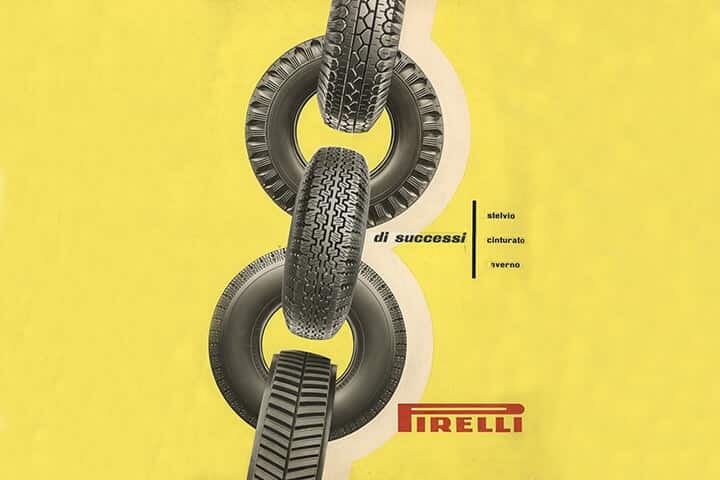 It was a journey across the places and stories which have helped to develop the unbreakable bond that today connects the company to its surrounding urban environment, from the old factory at the Via Ponte Seveso to the Pirelli Skyscraper and the urban revolution of the Bicocca Project. 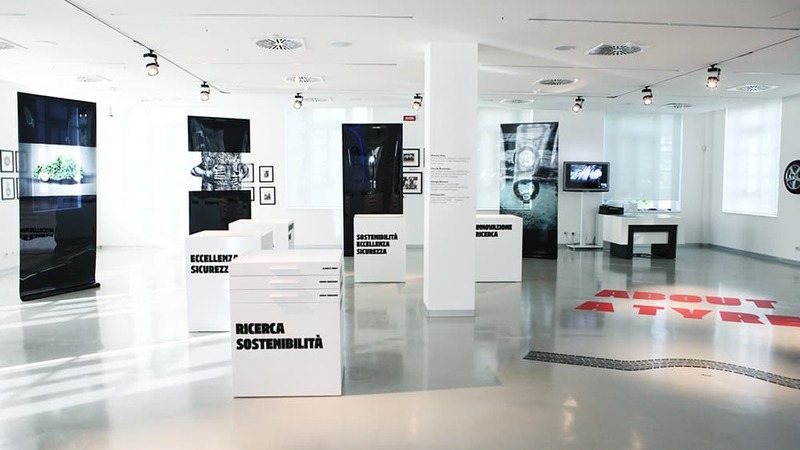 The exhibition Pirelli, la cultura sostenibile (Pirelli, sustainable culture), held in the Fondazione Pirelli buildings, was a thematic tale of the evolution of sustainable management that the company has followed from its very start to the present day: from the studies on synthetic rubber carried out in the 1930s to the work of the future Nobel Prize winner Giulio Natta in the Bicocca laboratories and an in-depth analysis of today's approach to the issue of environmental and social sustainability. Now, in 2018, the Fondazione Pirelli has chosen to celebrate its first ten years with a tale inspired by the book published by the company in 2017: La pubblicità con la P maiuscola (Advertising with a capital P).Through projections, installations and site-specific multimedia, the exhibition offers a portrait of an era which - in terms of advertising and marketing - still contains plenty for us to discover: the period from the 1970s to the 2000s. 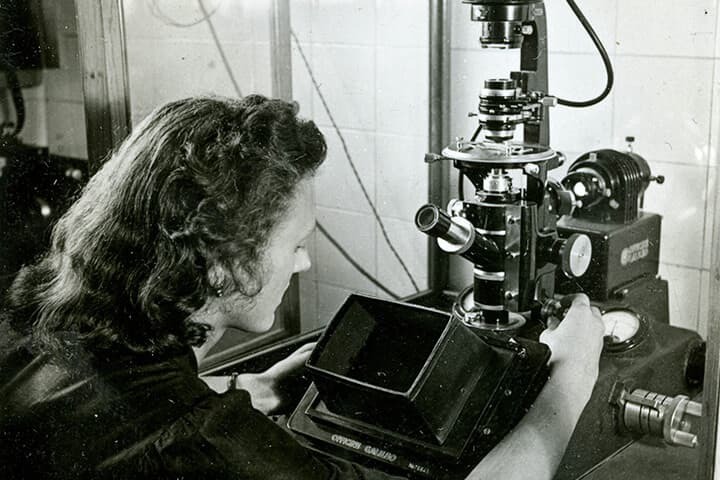 New techniques and new messages for a new international dimension: the perfect excuse to come and "take a look inside", as the engineer and historical collaborator for Pirelli Luigi Emanueli suggested in the first years of the 20th century.